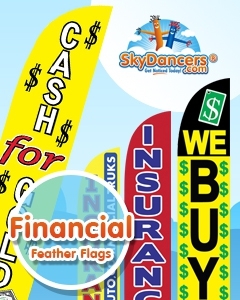 Feather Flags by SkyDancers.com. 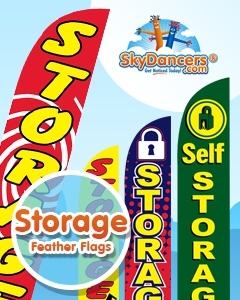 Shop the full selection of in-stock and ready to ship feather flags, swooper flags, and banner flags. 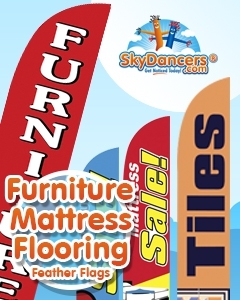 The most effecient and effective way to get your roadside business noticed is through the correct combination of outdoor advertising products. 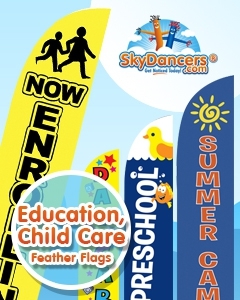 Feather Flags are a professional and effective way to attract customer attention without breaking the way. 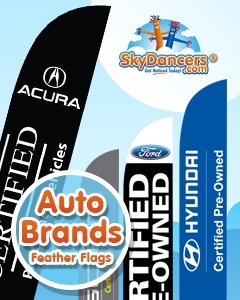 Feather flags can provide excellent exposure for your business or event, but be sure to only exhibit high quality professional looking flags. 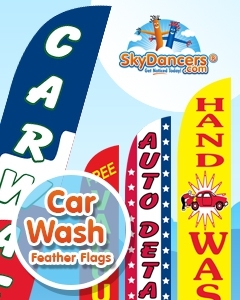 If you have low quality, dirty, or haggered flags outside of your business, those passing by, you will be sending the wrong message to the thousands of passing cusotmers who view your business daily. 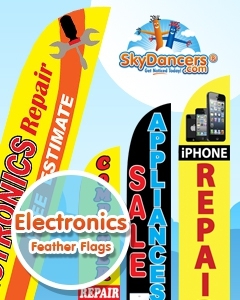 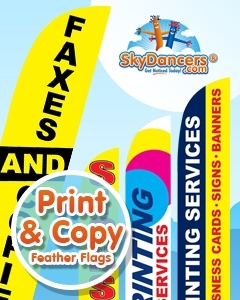 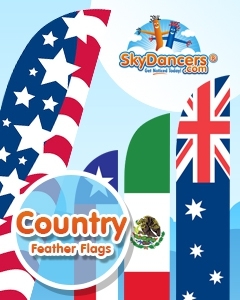 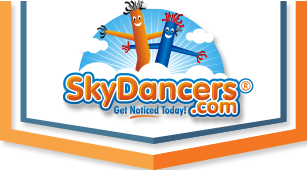 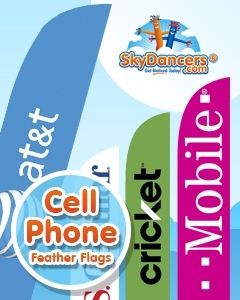 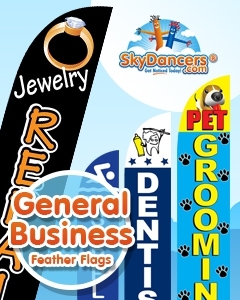 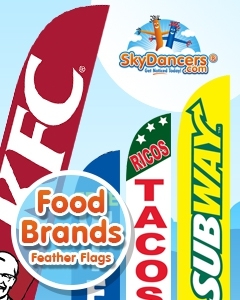 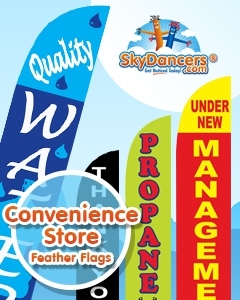 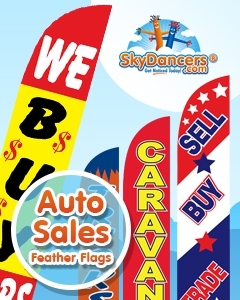 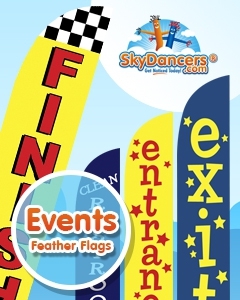 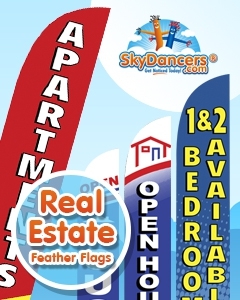 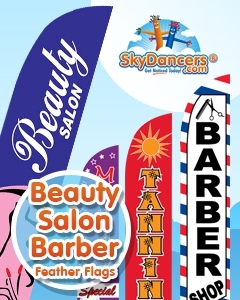 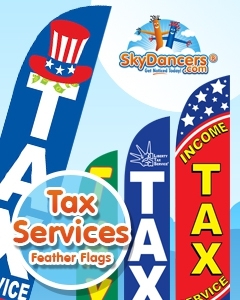 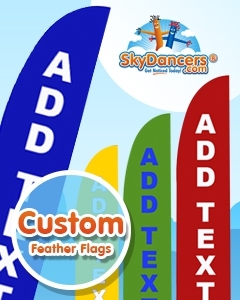 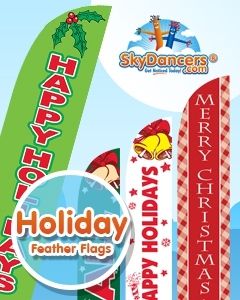 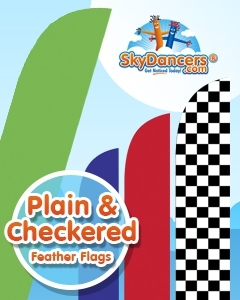 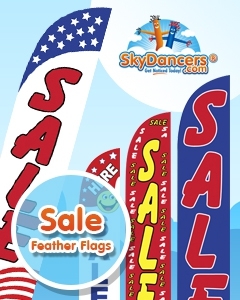 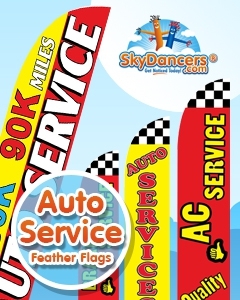 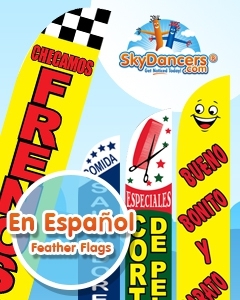 Shop the over 500 Feather Flag products for sale on SkyDancers.com and get your buiness noticed today! 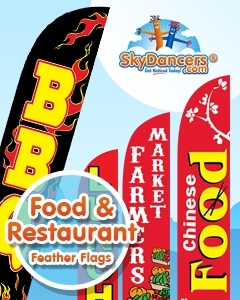 Feather Flags from SkyDancers.com stand 15ft high off the ground, are 2.5ft wide, and are curved at the top to provide an open flag regardless of wind and environmental conditions. 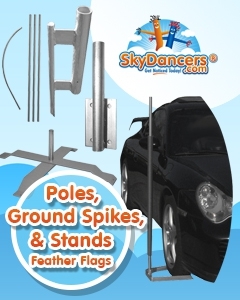 Pair any one of our high quality Feather Flags with either a Ground Spike Pole for dirt ground installation or an X-Stand Pole set for flat ground installation. 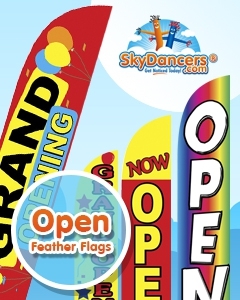 Our SkyDancers.com Feather Flags are custom designed to be compatible with SkyDancers.com brand pole sets.